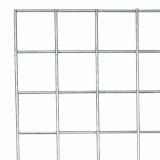 Sturdy, hot-dip galvanized wire panels are great for lambing and kidding pens, gates, fence lines and many other projects. 1/4 in. diameter rods. 4"x4" holes. 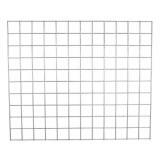 Look to our reinforced PowerBilt® Panels for 3"x3" holes. Item #964700 is eligible for FREE Ground Delivery within the contiguous USA when ordering $100 or more of qualifying items. *Items #964600, #964500 and #964400 are subject to shipping charges due to oversized and/or overweight items. Use the following table as a general estimate. Exact shipping charges may vary based on your location. We will contact you via phone or email with a quote before the product is shipped. (‡) When ordering 9 or more panels, please contact us online or call 800-282-6631 for a quotation. All rod ends have been ground smooth before galvanizing to make them safer. 4" holes make them stronger and safer than farmstore panels. 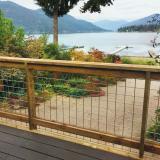 Usually used for stock confinement, galvanized welded wire mesh is also an excellent material for deck railings—very strong and extremely durable. Use a Wire Panel Connector Hinge which provides a strong, reliable panel connection that is also a 360˚ hinge. Use to hang heat lamps, poultry waterers and feeders. Also attach gates or panels. Recommended: 10 out of 12 said they would recommend this product to a friend. Love these panels. They are worth every penny. When our initial order was damaged by UPS prior to arrival the company let me know and got a replacement out right away. The panel is exactly as expected, good quality, arrived quickly, and I am very pleased with the product and shopping experience! I have used these panels for at least 20 years. They are still as good as new. The "hot dip" really works. 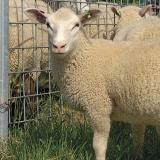 I have mostly 40x60 and 40x72 that I use for lambing jugs. 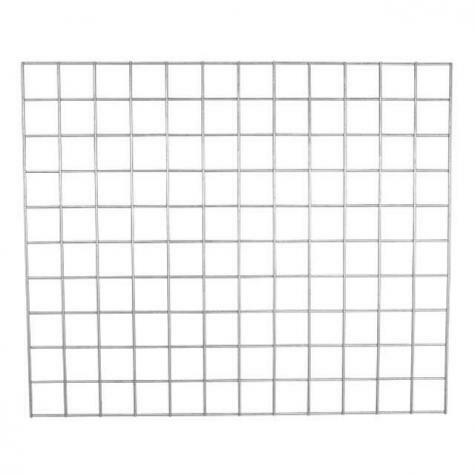 I just bought a pair of 40x48 to use as ends to make a cage for when I want to transport just one sheep, or a few lambs in the bed of my pick-up truck. Premier1 sells a cage, but since I already had all but the ends. I plan to use 4 40x60 and 2 40x48 panels, letting the end panels (the 40x48) extend 8 inches at the top. (I put a top on the cage, just to be safe). 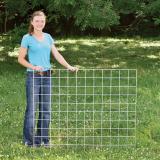 Panels are incredibly versatile and easy to use for lambing pens. You can buy the spiral hinges to attach them to each other, but we just use heavy duty cable ties. These work great at keeping my lambs & Kids off my Big square bales of hay.